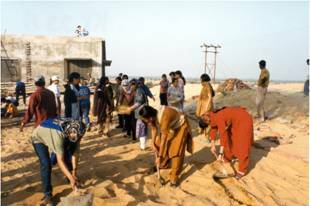 It was in the year 1996, Dr. Ashok Kumar Malhotra, President of the Ninash Foundation, first visited the village of Dundlod with a group of student and faculty participants of the Learn and Serve Program of the State University of New York (SUNY) at Oneonta, USA. 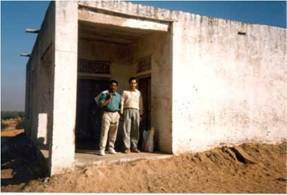 The SUNY Oneonta group was responsible for starting the Indo-International School (IIS) in a small room for 50 Dalit and minority children and 2 teachers in the Village of Dundlod. 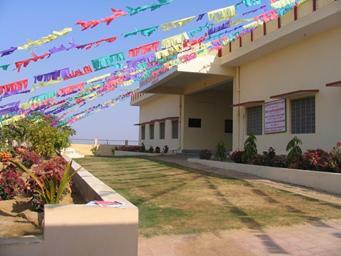 Since 1996, the Ninash Foundation has been partnering with READS of Jaipur in the development of the Indo-International School (IIS). The Indo-International School (IIS) in Dundlod has been providing opportunities for continuing education to those who are below poverty line and belong to the downtrodden community. 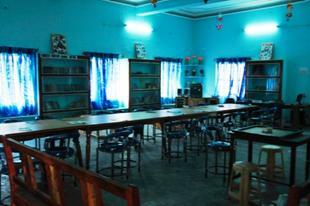 Presently, the Indo-International School (IIS) has classes from Primary to Senior Secondary level with 630 students. The second batch of seniors has taken the board examinations conducted by the Rajasthan Board and the successful rate is 100%. The school is determined to work in cooperation with parents and the community and wants to share the responsibility to bring up each student so that they find a suitable position in the society. 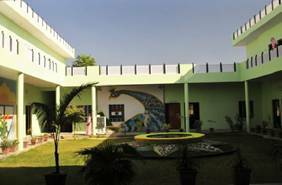 The story of the Dundlod Indo-International School began in 1996 with students and professors of the "Learn and Serve in India program" of the State University of New York College at Oneonta, led by Dr. Ashok Kumar Malhotra and Dr. Suzanne Miller. 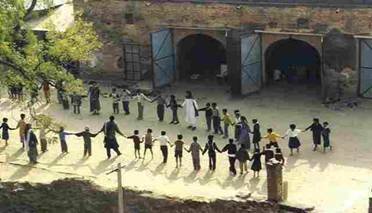 Deeply touched by the plight of 50 impoverished children, they established a one-room schoolhouse building donated by a woman from the village. 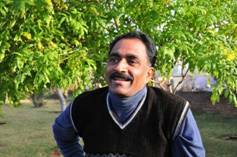 As enrollment grew quickly from 50 to 150 eager students, in 1997, the school moved to four classrooms in the stable of a 17th century fort, donated by the royal couple of Dundlod, Mr. Raghuvendra Singh and Dr. Ganga Singh. 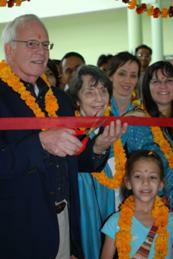 With support from the Ninash Foundation of Oneonta, the READS Foundation of Jaipur and French benefactor Frank Mulliez, a new building for the growing school was constructed and dedicated in 2000 as part of the New Millennium celebration. 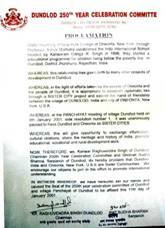 In 2000, Mayor Kim Muller endorsed a Sister City Project between Oneonta and Dundlod. 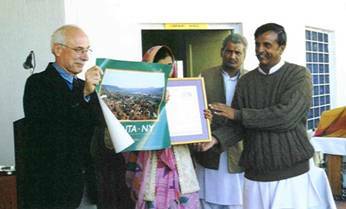 The proclamation that encouraged “the continued exchange of information and financial assistance through the Ninash Foundation in order to share the values of educational justice, fairness and opportunity through the establishment of additional schools throughout India similar to Dundlod,” was read by Dr. Alan Donovan President of SUNY Oneonta. 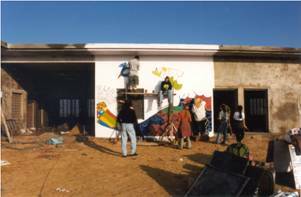 In 2001, the Ninash Foundation provided funds to ship 30 computers generously donated by a judge from Connecticut (USA) to start a new Computer Center at the Indo- International School. Project Hunger was started in 2004-05 to provide nutritious hot meals to the children of the Dundlod Indo-International School. 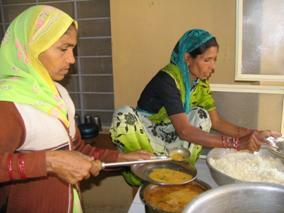 The Ninash Foundation provided funds to build the new kitchen. By teaming up with the READS and other charitable organizations, the Ninash Foundation has been able to establish and maintain the Project Hunger, a program that provides free nutritious lunches to the children attending the school. 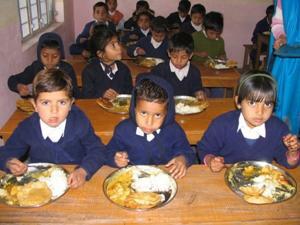 In 2011, the Dundlod School enrolled 550 students and fed all of them through the Project Hunger. New High School: In 2006, the Dundlod Elementary School with 300 students added six new rooms on the second story to open a high school so that the children could continue their education to the 12th grade. 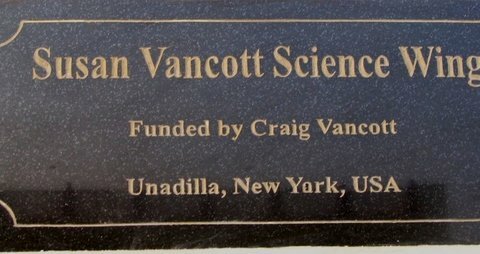 Craig and Susan Van Cott generously funded the creation of the science wing addition for the high school. 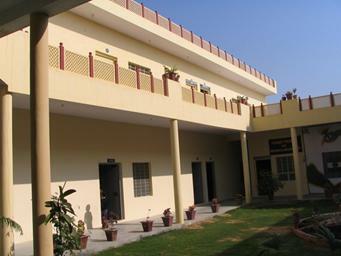 Library and Computer Center: In 2008, a state of the art Vidya Centre: Christy Koller Memorial library equipped with computers and over 10,000 books was built with the generous support of Dr. John Koller and Dr. Mimi Forman of New York. In 2007-2008, Mr. Ken Sider from the Riverside Elementary School, Oneonta, New York visited Dundlod School. He purchased 700 books from the $450 his school raised back home! 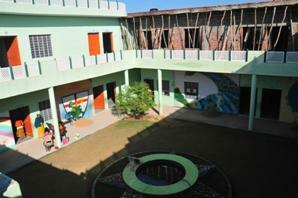 The children enjoy beautiful, modern classrooms and are educated by enthusiastic qualified teachers. 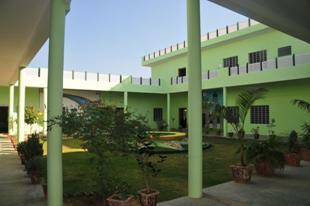 The Ninash Foundation helped build the state of art Vidya Centre: Christy Koller Memorial Library for the Dundlod School. Major funding came from the generous contributions made by John Koller and Mimi Forman (USA), Dominic Twose (UK), Celia Guillard (USA) and Alexander MacIntyre (USA). John Koller and Mimi Forman inaugurated the library during their January 2010 visit. To provide music education to children of the Dundlod School, the Ninash Foundation provided funds to build the Jack Finestone Music Room in his memory. Jack Finestone was a pianist and music teacher, who taught music at the Christopher Columbus High School in the Bronx, New York for more than 35 years. 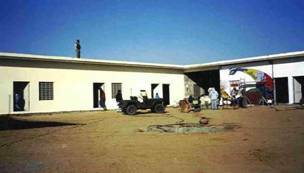 He was a supporter of the Ninash Foundation till his death in 1999. The room isequipped with a variety of musical instruments. 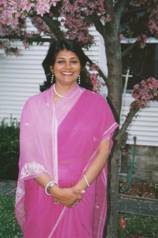 A music teacher was hired through the generous support of Raj and Christina Malhotra (USA). To provide cultural education through folk tales and epic stories of India and other countries to children of the Dundlod School, the Ninash Foundation provided funds to build the Hari Chand Chopra Culture Room in his memory. Hari Chand Chopra was a great story teller with a stock of more than 300 tales from all over the world. 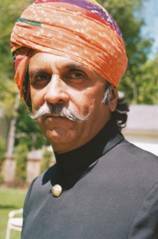 Through the stories, he educated his 11 grand children including Ashok Malhotra into the culture of India. The room is equipped with a variety of books and videos including the epics of India and the West, Arabian Nights, Panchtantra Tales, Jataka Tales and Aesop’s Fables. A playground for the children is being built. A piece of land in the back of the school that is not being utilized for any productive purpose is to be used for creating such a playground/park to serve as a recreation place for the children, teachers and local community. 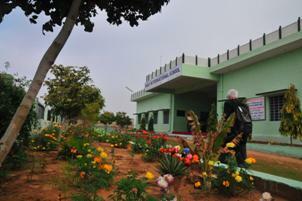 To build the playground and the garden, funding was requested from the Ninash Foundation. Empire Toyota of Oneonta, New York provided funds to build water well in Dundlod. The Samarpan Foundation donated six new computers to the Indo-International School computer center and promised to give more in the coming years. The inauguration of the computer room was done by Mr.Ramash Jangir from Samarpan Foundation Nawalgarh, Dr. John Young and Dr. Ganga Singh. 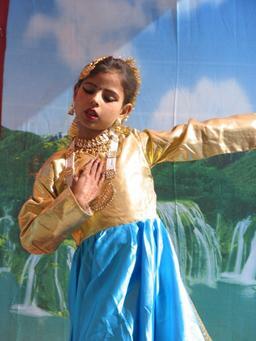 This inauguration ceremony was followed by children performing various dances and singing songs for the visitors. 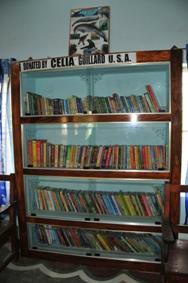 The school creates a new shelf in the existing library in memory of Bertil Gejrot, a poet friend of John and Mimi Koller and Milton Forman (donors at Dundlod). 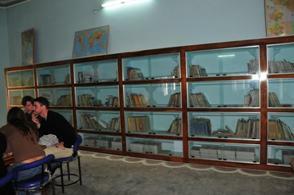 This shelf contains poetry books in Hindi, Gujarati and English. 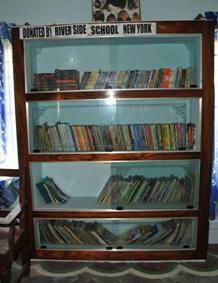 In addition, a mobile library with poetry books is put in each class room. Furthermore, a poem is read in the morning at the school assembly and a teacher reads a poem appropriate to each class. 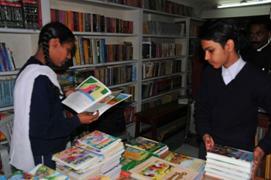 Prizes will be given annually for reading and writing the most poems by a student and a teacher. 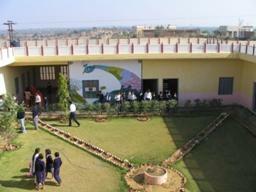 The school has grown to 20 rooms with a high school (nursery to 12th grade) providing education to more than 630 impoverished children of Dundlod. 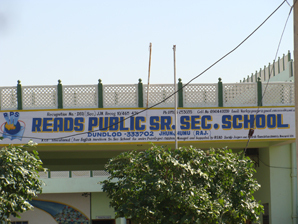 Under the new Laws of the Government of India, the name of the Indo-International School has been changed to The Reads Public Sr. Sec. School, Dundlod. $200 will support a child. You can help the 50 million underprivileged children of India by supporting the drive to raise funds for the schools built by the Ninash Foundation. 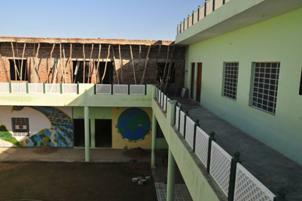 The schools require constant support for teachers and children. 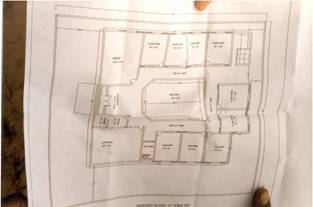 The Ninash Foundation’s program aims to build new schools as often as possible to alleviate poverty and promote literacy throughout India and the world. Your tax-deductible contribution to the Ninash Foundation, a 501©(3) charitable organization, will directly support the project. A donation of $8000-10,000 will build a classroom in a school, and $200 will support a child through an entire year of education; any amount will help provide supplies and pay a teacher’s salary. As the individuals in the SUNY Oneonta Learn and Serve in India program have shown, you can make a difference.